THIS ONE CHECKS ALL THE BOXES! 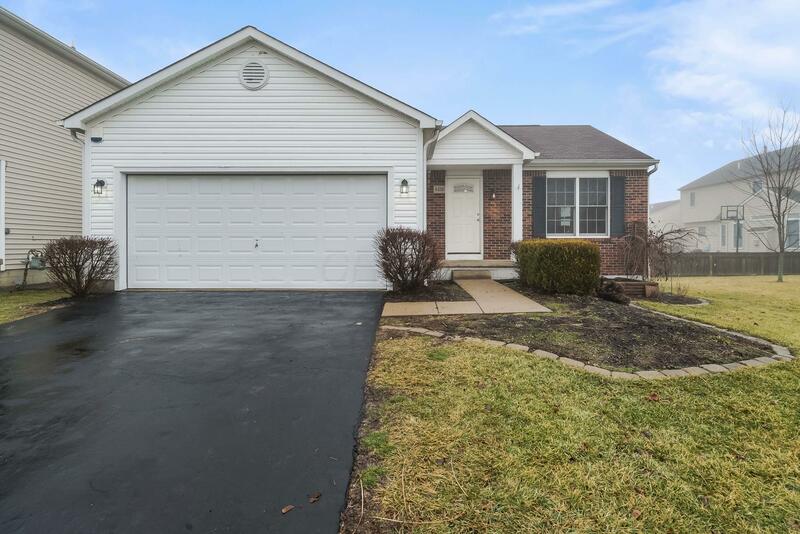 4 bedrooms, 2 full bathrooms, 2 car garage, and over 1,500 sq.ft of living space in Grove City's Alkire Village community. You will love the open floor-plan. Large living room, dining room, kitchen combo with vaulted ceilings, hardwood floors in the entry, new carpet and laminate wood floors. Retire to the large master suite with walk-in closet and attached full bathroom. Step down to the oversized family room, half bathroom and 4th bedroom. The partial basement provides ample room for storage. 2 car attached garage that has been insulated and drywalled! Large fenced rear yard feats a concrete patio and storage shed. This one is a must see to appreciate!